Product Review: Narrow Gauge and Short Line Gazette DVD Archive. 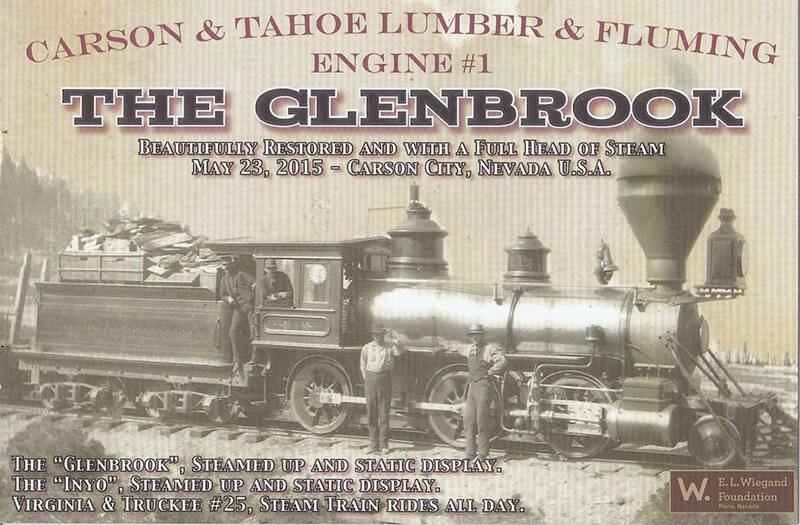 On May 23rd the Nevada State Railroad Museum will be hosting a special event showcasing the first public steam even featuring Carson & Tahoe Lumber & Fluming #1 “Glenbrook”. Restoration of the “Glenbrook” back to an as-delivered 1875 appearance was a project spanning several decades involving careful research and hard work by NSRM volunteers. To celebrate the museum will have Virginia & Truckee Railroad #22 “Inyo” (Baldwin 1875), and #25 (Baldwin 1905) under steam and will be offering train rides throughout the day. Members of the PacificNG team will be on hand to document the event and we will be posting photographs of the event here on the blog and forum. However we encourage you to come join us at the celebration May 23rd. Where else can you see two beautifully restored Baldwin locomotives from the 1870s under steam? PacificNG © 2009 - PacificNG.com respects all rights and copyrights to material submitted by contributors.